Credit Card Rewards – Are They Worth It Now? Today credit card companies are doing everything to lure you into getting their credit card. Not only are banks scaling back on their offers, but credit card companies are also following along. The usual “lure ‘em, catch ‘em and leave ‘em” approach is what most all credit card companies are adopting now-a-days. If they offer a product or service that does not generate enough money to continue the program they will either cut the rewards program or the most common is to raise the fees. People think that the Credit Card Act of 2009 is going to make plastic that much safer, but that is not the case as we are not safer now as compared with previous months. What the Credit Card Act of 2009 will do is make it harder for the consumers as credit card companies are now finding more innovative ways of making up for the lost revenue. (Look at this post about CitiBank raising their rates to 29.99%!) Bank of America announced that it will impose an annual fee ranging between $29 and $99, right after they said they would not be raising interest rates before the second phase of the CARD Act, which goes into effect on February 2010. On top of all of the rate-hiking, fee-adding and credit limit-cut backing card issuers, they have found other ways of adding to their bottom line, by making changes to how you can use your rewards points. Some policies have become so stringent that for many consumers, they are having to say goodbye to in-flight upgrades, free hotel stays or using their points for that special something they have been saving up for, sometime for years. Some people have no idea the kinds of changes that are being made to your credit card rewards programs, you might want to check the list below to see if you are affected.. yet. Most major credit card companies including American Express, Bank of America, Chase, Discover, Capital One and Citibank will invalidate any rewards points accumulated in a billing cycle during which a cardholder’s account was delinquent. Discover Bank goes a step further by revoking all point or miles earned by an account holder under the rewards program if he is late in his payments for two consecutive months. Discover’s three-tier cash back program is now down to just two tiers. In the company’s previous scheme, a consumer earns 0.25% percent for the first $1,500 spent, 0.5% for the next $1,500, and 1% for whatever amount spent above $3,000. Presently, the program has been reduced to just 0.25% for the first $3,000 and 1% for anything over that. American Express scaled back the rebate for its Blue Card cash-back program, now offering 1.25% instead of the previous 1.5%. American Express is also increasing the maximum fee that accountholders under its Membership Rewards program would need to shoulder to transfer earned points to a U.S. airline loyalty program. From $75, the cost is now at $99 effective last September. Citibank has also made changes to its travel redemption program. A domestic round-trip airline ticket worth about $400 used to cost the cardholder 20,000 points. Now redemption for the same item will require 40,000 points. Starting next year, the Citi Hilton HHonors Visa will require 12,500 points, up from 10,000, for a free room. The Citi Home Depot Rewards MasterCard will be discontinued. Cardholders can only use them until October 31, while rewards points may be redeemed only until January 31, 2010. The Citi mtvU Visa card, which allows students to earn points that are convertible to cash for student loan payments, now requires 12,700 points for every $100. That used to be 10,000 points. The most unpleasant surprise for credit card customers is that any credit card company can change the terms and conditions to any of their rewards programs at any time, or even cancel it altogether for any reason. All of those built up points could go to waste, maybe the very reason why you joined the credit card company and now you cannot even use your points for the rewards you wanted. Do not expect these changes to go away because they are here to stay for good. Banks are still making difficult decisions as they need to balance profitability and services so it would be wise for the consumer to act fast and cash in on their rewards points sooner than later, or risk losing out. CitiBank Credit Card Increases Interest Rate to 29.99%! We are making changes to your account terms. To continue to provide our customers with access to credit, we have had to adjust our pricing. The terms of your account will be changing. These changes include an increase in the variable APR for purchases to 29.99% and will take effect November 30, 2009. As always, you have the right to opt out and pay down your balance under your current terms. If you opt out, you may use your account under the current terms until the end of your curent membership year or the expiration date on your card, whichever is later. At that time, we will close your account. If you accept these changes, we have designed a program where you can earn interest back each month that can help offset the increase in your purchase APR. Here’s how – make your payment on time every month. Each month you do, you will receive a credit on your billing statement equal to 10% of your total interest charge on purchase balance. This can help offset the increase in your purchase APR. Start earning interest back in December and January, and you will see the full credit on your statement no later than February 2010 and monthly after that. If in any month you do not pay on time, you may not be eligible to continue to participate in this program. We reserve the right to change or end this program with 30 days’ prior written notice. Please see the back of this letter for further details. I’m not going to bore you with the rest of the letter but here are my thoughts. 29.99%, holy crap! Do the credit card companies really expect people to accept these terms? I know that I will be paying down that credit card by the end of the year and never using it again. 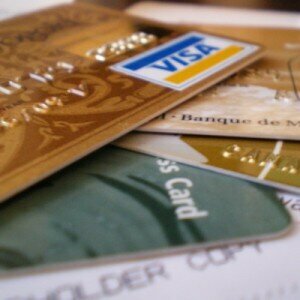 Its very important that you DO NOT close your credit cards, no matter how upset you may be. Building a good credit history takes time and, well, a history. So if you close your credit card, then you lose that history for however long you have been building it with that particular card. It seems like the credit card providers have forgotten about customer service, keeping their customers happy, providing a quality product, but instead it seems like they only care about the future credit laws that are coming out as early as December 1st. It will be interesting to see how this plays out. I have 8 credit cards (only use 3 of them and have very little debt with them), but I do expect to get more of these letters. Hopefully there will still be a credit card provider out there who actually cares for their customers and not charging the he*l out of them. 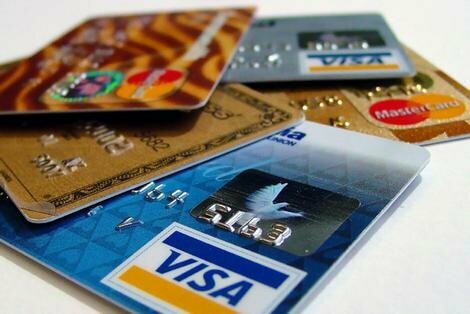 New credit card regulations are about to begin, thank God! So American Express has decided to put themselves out in front of their competition early. Instead of waiting for the mandatory regulations kick in they decided that sooner was better than later to make changes. On Wednesday 9/30/09 American Express announced they would eliminate all monthly fees on its gift cards. Before the announcement, American Express would charge a hefty $2 monthly fee on all gift cards that were not used for more than a year after they were purchased. This has been a touchy subject with many consumers who would complain about the fees for unused cards. Why the $2.95 to $6.95 purchase charge? American Express gift cards can be used anywhere that accepts American Express, which allows the consumer the freedom to buy anything almost anywhere. The fee is based on the convenience of the card. American Express started offering gift cards back in 2004 which has turned into a $1 billion dollar business a year. Click here for more information on American Express Gift Cards. One of the biggest problems while traveling abroad, is how will you pay for things? Carrying cash might be a better option if you are trying to escape the high fees charged for using your credit card overseas, but it’s not as safe as carrying plastic. Many banks will charge a different fee for transactions in different countries. While carrying cash you tend to get better exchange rates, but if you cannot find a forex exchange you are out of luck. Having a credit card in another country such as Europe would be much more convenient than having cash, as you can use your credit card at any time. When you use your Visa or MasterCard overseas they will charge you 1% for the conversion fee and most US banks will add their own 2% fee on top of that to make your total fees 3%. When using a debit (ATM) card for cash outside of the USA, most banks will add some kind of withdrawal fee up to $5 and a conversion fee of up to 3%. Cash exchanges are not always better as the forex you exchange your money over to will charge you fees and other charges. Sometimes you can lose from 5% to 10% depending on the country you visit. It’s still recommended to use “credit cards” for your big purchases; use debit cards for cash and just forget about using traveler’s checks and exchanging currency. Not only do you save money by using credit cards, but your money will be safer than carrying around a large sum of money. When using your credit card outside of the USA, the charge will be in the currency of the country you are visiting. When that charge goes through the banking system and reaches your bank they will put their own surcharges onto the already 1% charge by the International network. The bank will add another 2% fee just because they can, just because you needed money outside of your country of residence. There are still some good banks that do not add surcharges or at least keep the fees low. Here are current charges for some of the large credit card issuers, in order from lowest to highest in fees. So far no other credit card issuer is as good as Capital One in regards to international credit card fees. USAA comes a close second with charging 1%, while HSBC and Chase offer reduced charges to the small number of ‘elite’ customers, but overall they still end up charging 3%. Sometimes a foreign merchant will charge you in U.S. dollars rather than in their local currency. Banks overall are inconsistent in how they come up with their charges: Bank of America, Barclaycard/Juniper, Citibank/Diners and USAA are usually the credit cards that charge the same fee regardless of the currency, but American Express, JP Morgan Chase and Wells Fargo do not surcharge dollar billings. Dollar billings can seem like a good idea, but you must be aware of a possible scam. The merchant can use a very lousy exchange rate with they convert your bills into US dollars, so you could end up paying both the merchant’s private currency markup in addition to a surcharge. Avoid any billing in dollars and just stick to credit cards while traveling. If you have (or open) an account with Bank of America, you can withdraw foreign currencies from ATMs owned by member banks of the “Global ATM Alliance” with no transaction or conversion fee: Westpac in Australia and New Zealand, Scotia Bank in Canada, China Construction Bank in China, Paribas in France, Deutsche Bank in Germany, Santander Serfin in Mexico, and Barclays Bank in the UK. All seven banks have branches throughout their home countries (as well as a few foreign locations); you can locate them through the BofA website. In other countries, however, BofA charges more than most other banks. If you have (or open) an account with Citi you can withdraw foreign currencies from ATMs at Citi branches outside the US with no transaction fee. Citi has branches in dozens of foreign countries: In some, it has retail branches throughout the country; in others, it has only one or two offices in one or two major cities. You can easily find out whether a Citi account will work for your trip by checking the worldwide branch locator on the Citi website. Many small banks or the larger banks with ‘elite’ customer account add no extra fees of their own and even agree to pay back fees that other banks may apply, of course with limits to the number of withdrawals per month. The spread between some of the best and the worst deals on debit card withdrawals is wider than the spread among credit cards. The best deal such as Citi and the Global ATM Alliance, are as good as the best credit cards, but the worst deals you can end up losing more than when you exchange cash or use travelers checks. Always use a debit card for local currency from an ATM and not a credit card. If you use a credit card to get cash you will be hooked on paying more fees along with cash advanced fees and higher interest rates. Many debit cards are Visa and MasterCard branded, so you can use them worldwide for shopping or to take cash out of an ATM. When using your ATM card most banks will still charge the same as they do on their credit cards for purchases. HSBC, however adds just 1% on charges rather than the usual 3% that most other banks charge. Put large charges on credit cards. If you travel outside the U.S. a lot, consider getting a Capital One card, with its zero surcharge (and a reasonably generous reward program). Otherwise, USAA and many smaller banks and credit unions charge only 1%. Even cards with a full 3% surcharge are still an efficient way to pay outside the U.S.
Use your debit (ATM) card for whatever local currency you need. When you take cash out of an ATM, withdraw large amounts each time to limit the fees you are charged. And overall, use plastic (credit cards and debit cards), but be sure it’s the right plastic, otherwise you will pay for it in extra fees.